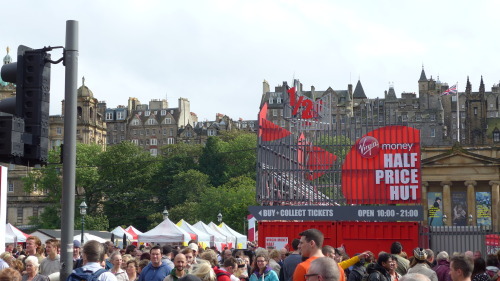 Visitors to the Edinburgh Fringe Festival this year may have spotted a new addition to the mound precinct. 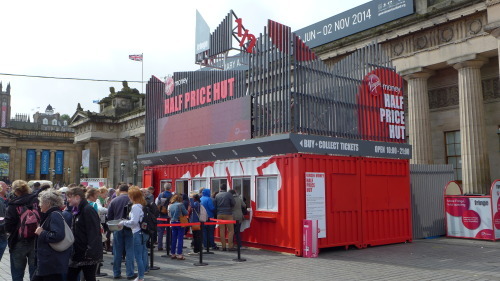 Following the success of our market stall redesign in 2013, Collective Architecture were commissioned by the Fringe Society to design the Virgin Money Half Price Hut box office. 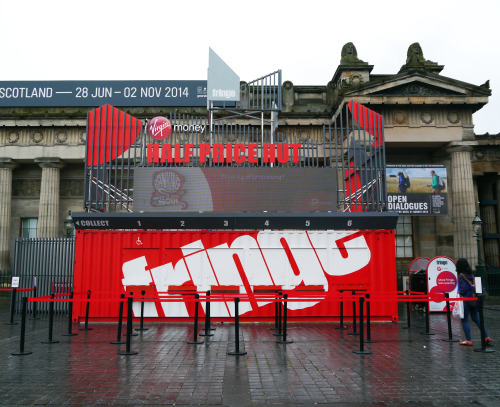 Sitting adjacent to the Royal Scottish Academy, the Fringe required a bold, quirky design that would form the centrepiece of their presence on the busy mound precinct and effectively communicate the Sponsor’s brand.